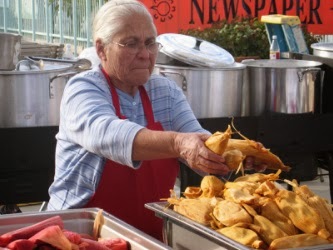 The 22nd annual Indio International Tamale Festival will once again overtake Old Town Indio to kick off the holiday season in the Coachella Valley. 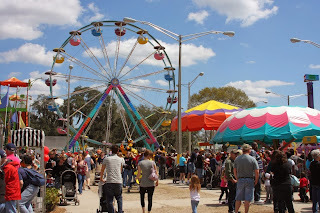 Admission into the Festival is FREE, and family-friendly activities, arts and crafts booths, and live entertainment are geared for all ages and community interests. The Festival has been ranked as one of the top ten "All-American Food Festivals" in the nation by Food Network-TV. Guinness World Records awarded the Festival as having The World's Largest Tamale--over 1 foot in diameter and 40 feet in length, Dec. 4, 1999, and The World's Largest Tamale Festival--with 120,000 in attendance, Dec. 2-3, 2000. The traditional competition for best tamale recipe will be held, and there will also be a tamale eating contest. At least 125,000 people are expected to attend the two day celebration this year which begins with a parade on Saturday morning. Performances will be featured on four stages. New attractions this year include an Inaugural Car Show, an Art and Wine Garden, and Food Truck Alley. And, as always, in addition to the parade and live entertainment, there will be the Best Tamale Contest, a Tamale Eating Contest, Kiddieland, and Carnival Rides. Recipes from all over the southwest feature pumpkin with Jamaican rum tamale, bourbon pork tamale, chocolate cherry tamale, and hundreds more. Complete information for the Tamale Festival can be found here. The Festival is located at Old Town Indio between Highway 111 and Indio Boulevard; it occupies the streets of Miles, Towne, Smurr and Requa. Free parking is available at Riverside County’s Administration Building at the Larson Justice Center on the corner of Highway 111 and Oasis Street. Public parking is also available on various streets around downtown Indio. Free shuttle services are provided by Lin Lines to all festival visitors from the Larson Justice Center. SunLine Transit bus routes include stops close to the Festival grounds. For more parking or bus route information can be found here. The Festival is produced by KevaWorks, Inc., in partnership with the City of Indio. Fantasy Springs Resort Casino will serve as the official presenting sponsor, as they have since 1999.